If you’re fascinated by origami, you won’t want to miss “Surface to Structure: Folded Forms”, a new show coming to NYC’s Cooper Union in June. The exhibition will showcase the works of some of the world’s foremost origami masters as well as other emerging paper artists. Check out our gallery for a sneak peek at some of the incredibly intricate pieces that will be on display at the show. If you're fascinated by origami, you won't want to miss "Surface to Structure: Folded Forms", a new show coming to NYC's Cooper Union in June. 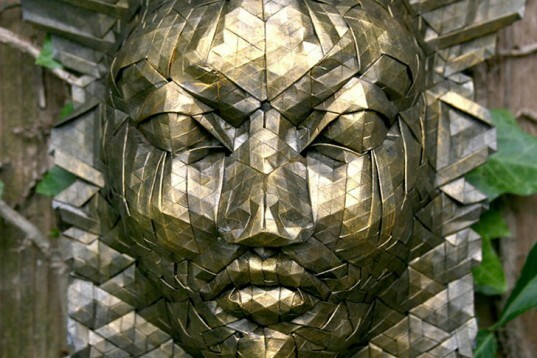 The exhibition will showcase the works of some of the world's foremost origami masters as well as other emerging paper artists. Check out our gallery for a sneak peek at some of the incredibly intricate pieces that will be on display at the show.